School’s out for the summer and kids everywhere are looking for fun, cool things to do. While most dads want their children to have fun, some may also be worried about the cost of summer vacation fun. But making sure your kids stay busy and have fun doesn’t have to break your budget. Parenting advice from some experts regarding this issue includes doing some research in advance. If there’s an attraction or activity that your son or daughter has his or her heart set on, go online to look for coupons and other discounts. Signing up to receive an e-newsletter or becoming a fan on Facebook or Twitter can often help you get special offers on admission prices. While taking your kids to the movies is not always the most budget-friendly endeavor, many theaters offer free movies during the summer. 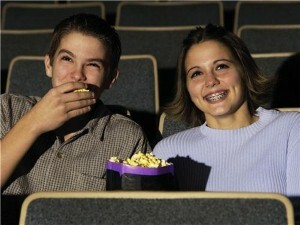 Visit websites like RegCinemas.com and AMCTheaters.com to find schedules, times and details. Be warned, however, that some free movie programs don’t include admission to newly released films. Dads can treat their families to the hottest movies of the season on a budget by opting to travel to a drive-in theater, where you’ll pay by the carload rather than per person. In addition, many drive-ins offer double features so you’ll really get your money’s worth! The experience alone will be worth the trip for many families.